Wondering what to gift your sweetheart? 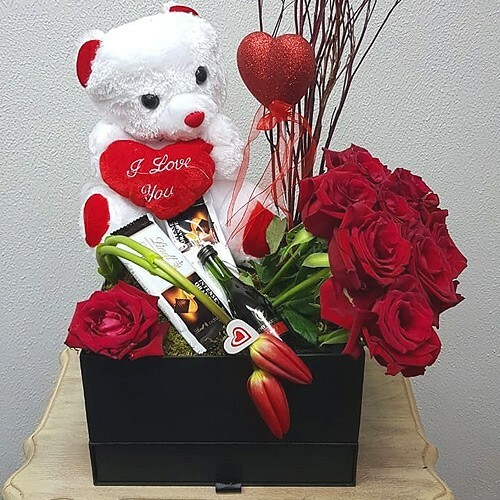 Look no further than this "hearty passion" box arrangement accented with roses, chocolate, and a teddy bear. A box full of love suitable for Valentine's Day or any romantic occasion.